This week, Your News to Know rounds up the latest news involving precious metals and the overall economy. Stories include: 5 factors supporting gold’s big-picture outlook, silver demand hits a three-year high in 2018, and China’s government is on a gold-buying spree. According to Seeking Alpha contributor Clif Droke, the ingredients for gold’s breakout above the $1,300-$1,350 range are falling into place. Droke sees five factors that could propel gold past $1,350 an ounce by the end of Q2: oil, copper, China, India and interest rate outlook. Crude oil and copper demand have risen in spite of a stubbornly strong dollar, which subdued gold prices through much of 2018. To Droke, their increase is a very favorable omen, as a rise from either of these two commodities has traditionally heralded higher gold prices. The rise in industrial demand from China is especially bullish due to gold’s manufacturing uses and the metal’s relation to the strength of the Chinese economy. Similarly, the rebound in the Indian stock market will likely translate to an increase in physical demand from the country. 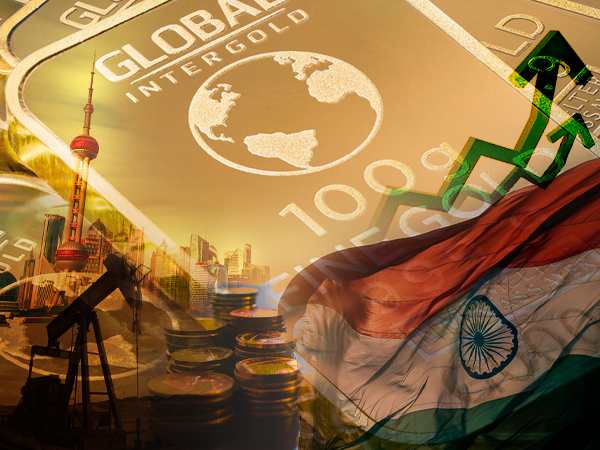 Even more so than in China’s case, improved economic prospects in India invariably lead to physical gold buying, as the nation’s citizens are known for their view of jewelry and bullion as a first-choice investment. The absence of interest rate hikes in the U.S., accompanied by flimsy-looking Treasuries, is yet another source of optimism for Droke. The decline in 10-year Treasuries removes one of gold’s primary haven competitors, and previous analyses have shown that U.S. and global bonds in general are becoming less and less attractive. All these factors combined create a robust technical picture for gold. The metal remains above its 120-day moving average, which shows that gold’s long-term recovery is still on track despite recent price setbacks. Given the number of tailwinds, Droke expects the metal to pass $1,350 an ounce and begin testing new highs within the next few months. A recent survey by the Silver Institute showed that global silver demand hit a three-year high in 2018, amounting to a 4% increase compared to the previous year. Meanwhile, global silver production fell for the third straight year. A recent article on Kitco states that, Johann Wiebe, the lead analyst behind the survey, noted that there is a clear disconnect between silver’s price and its fundamentals. Wiebe blames this on a surplus of above-ground supply which has kept silver prices subdued despite continued decreases in production. However, Wiebe said that the above-ground reserves will be depleted in the next two and a half years, painting a favorable long-term picture due to silver’s fundamentals. Supporting this point are developments in the solar industry, one of the metal’s largest buyers. Solar panel producers have recently turned to a cost-cutting method known as thrifting, which lowers the amount of silver needed in the panels. Wiebe pointed out that thrifting won’t be an option for much longer as demand for solar panels increases, which will reignite silver demand in this sector. In the short term, Wiebe expects silver prices to remain stable as the metal seeks to capture $20 an ounce by the end of the year. The analyst noted that emerging market investors are making full use of silver’s current bargain prices in the form of physical demand. Last year saw a 53% increase in silver bar buying, with India’s bar demand rising by 115%. Wiebe said that the current gold/silver ratio is unsustainable, and that silver prices are guaranteed to shoot up in the near future. Wiebe added that the metal’s versatility allows it to prosper regardless of the economic outlook. Despite the metal’s heavy industrial use, a growth slowdown will simply translate to heightened investment demand. “If industrial demand falls slightly because of an economic growth, it could easily be made up with an increase in investment demand as silver will be seen as an undervalued safe-haven asset,” he said. Last month, China’s central bank added 11.2 tons of gold to its bullion reserves, marking the fourth straight month of expansion, reports Bloomberg. The gold-buying spree started with a 9.95-ton purchase in December, followed by acquisitions of 11.8 tons in January and 9.95 tons in February. The month-after-month purchases quickly placed China among the top official-sector buyers and pegged it as a potential contender for Russia’s top spot on the list. The latter had ended 2018 with a total of 274 tons of gold added to its reserves. While remarkable, the PBOC’s purchases are hardly surprising as they fall in line with the recent trend of voracious gold buying by central banks. 2018 saw governments around the world buy over 650 tons of bullion combined, with several previously-absent countries showing renewed interest. The figure marked a 74% increase in purchases compared to 2017. Analysts expect that central banks will buy a minimum of 600 tons of gold this year. The massive surge in central bank buying has fueled optimism into the gold market. Goldman Sachs is bullish on the metal’s long-term outlook, listing $1,450 as their price forecast by year’s end. Similarly, Citigroup’s global head of commodities research Ed Morse sees gold settling at $1,400 an ounce this year.